RimotRF is one of the first turnkey remote monitoring services for wireless transmitter sites that includes weather and lightning. 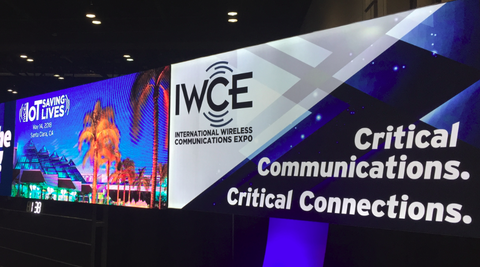 Orlando, Florida – March 9, 2018 – Today Rimot announced a new remote monitoring service for wireless transmitter sites at the International Wireless Communications Expo in Orlando. Its new RimotRF remote monitoring service helps ensure the wireless communications used by organizations from public safety agencies to transportation are available whenever they are needed. The industry-leading RimotRF service constantly collects information about the transmitter and site, combining it with weather data that gives a complete picture of what is happening in the field. RimotRF users can see what is happening at a remote communications site on a secure web portal on their smartphone, tablet, laptop or PC. Traditional remote monitoring systems are too hard and expensive to implement, aren’t easy to use or provide limited information. RimotRF is new technology that provides a complete monitoring service that can be deployed quickly, easily and cost-effectively. RimotRF includes sensors, communications link to the site, and data analytics to continuously monitor key aspects of wireless transmitters and repeaters, antenna systems and the site itself. Weather and lightning data are integrated into the remote monitoring service. RimotRF users can easily and securely see the information on their device of choice, and can setup alerts which can be sent by email or SMS texts when thresholds are exceeded on key parameters. The RimotRF remote monitoring service is a leading example of the fast-increasing global adoption predictive maintenance and smarter remote asset management solutions. Organizations are able to improve productivity and reduce costs by implementing new solutions such as RimotRF which are fuelled by new Industrial Internet of Things technologies. According to MarketandMarkets, the predictive maintenance market is growing at 25.7% annually from 2016 to 2021. To learn more about how RimotRF can help your organization at www.rimot.io. Rimot is a remote monitoring service that makes equipment more reliable that business and government agencies have in the field. RimotRF is the first turnkey service for the monitoring of remote transmitter site and equipment, including weather and lightning. It allows unmonitored equipment to now be monitored easily and cost-effectively, and offers considerable insight into what is happening at the site. Learn more at www.rimot.io and follow on Twitter at @Rimot_io.